But seriously, i feel like March will be the month we will see an RV, at at least 1.00- 2.50. Just a gut feeling, and my guts been wrong plenty of times, so odds are in my favor. Larrylo...lets hope your gut knows!! Since we are making predictions Feb 14th, just in time to buy my wife a rose garden $3.47 ! GO RV ! No offense, but if this comes in at that rate it will be the dreaded bunny ear. 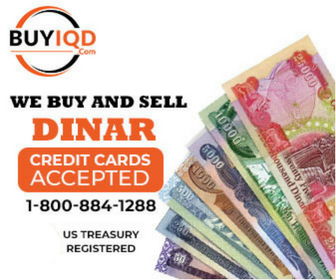 Way too many dinar in circulation to even dream of that. If it comes in between .10 to a dollar that would be amazing. I love reading these optimistic posts. Who knows? God Bless us all! LocationBottom of the Lopster Tank. Some people read tea leaves. on the bottom of my cage. The first, February 12th, at 1 IQD :1 USD. and sell back to Ali, at 1 IQD : 3.23 USD. Last week I had a dream that I had lots of money and quit my job. It was around the time of my sisters birthday in MARCH. I just "hopium" it is done BEFORE March 2015. The only person that has been right so far 11 Bravo says March 2015 if it doesnt happen the he says look to mid 2016! I didn't like the message in 2012! but he was right. It looks good for March 2015. So I'm prayin it RV's next month! If it don't Looks like we are in for a long wait! at 10c likely even better than a buck ( a buck might tempt them to castrate the zeros... and in that case nothing gained at all...)..
At 10c we roughly make 100 fold our investment...Not bad. I couldn't agree more! If see more than a dollar I will assume the worst. .27 cents feels right to me.